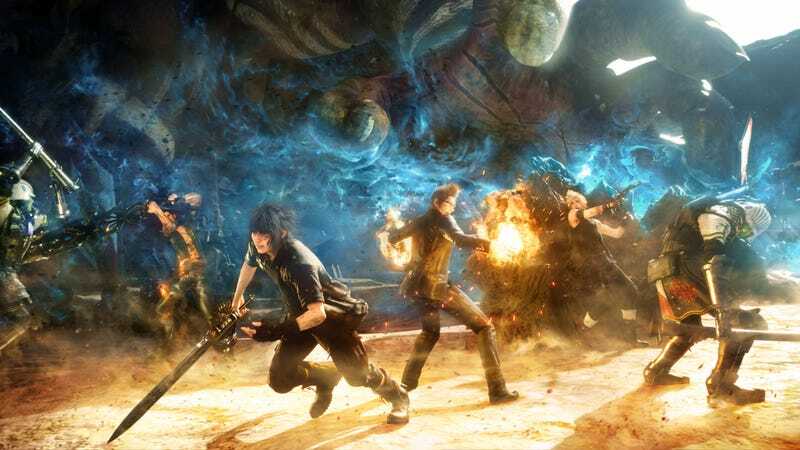 In a few hours, Square Enix will hold a big Final Fantasy XV event, where they’re expected to announced the game’s release date and other details. It looks like one of those pieces has already leaked out. For a hot minute, GameSpot published a video announcing Final Fantasy XV would arrive on September 30, a date previously reported by Gematsu. The video has since been taken down, set to private, but I’ve already watched it. GameSpot also reports there’s another demo arriving today—this time following a young Noctis—and it’ll grant an exclusive summon for those who beat it. Word on the demo actually leaked earlier today, too, at Gematsu.